hara hara mahadeva cast includes vinay gowda, sangeetha, priyanka chincholi, keerthi baanu, veena honnappa, arun murthy, aryan raj, rajesha, pallavi etc. 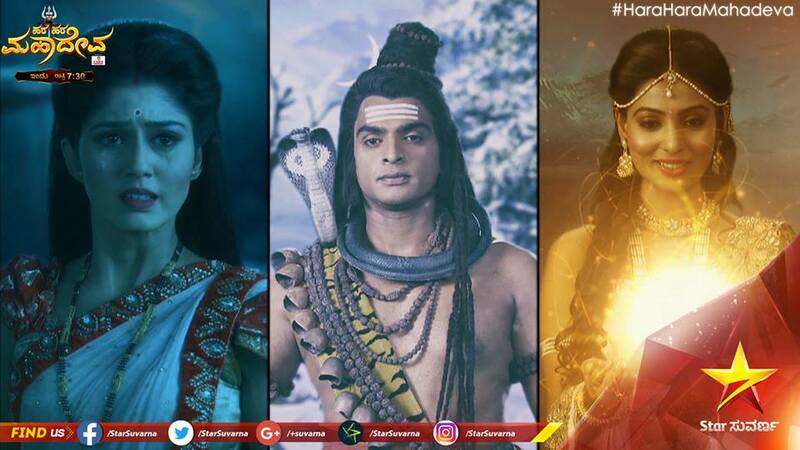 star suvarna launched this high budget hindu mythological serial on 25th july 2016 at 7.30 p.m. hara hara mahadeva running successfully with good trp ratings, it’s already crossed 100+ episodes. people started searching about hero name, heroine name and other star cast of this kannada serial. this indicates the popularity of the show. every monday to saturday at 7.30 p.m is the original telecast time. it’s repeat telecast showing on 10.30 p.m after the original telecast. Nikhil Sinha is the producer of this big budget kannada tv serial. Deepak Garg is show director and he is also handling the cinematography. Nitin Gopi and Srinivas Prasad are the episodes directors of hara hara mahadeva serial. Utkarsh Naithani, Mihir Bhuta are the writers of this serial, based on the work by Devdutt Pattanaik. 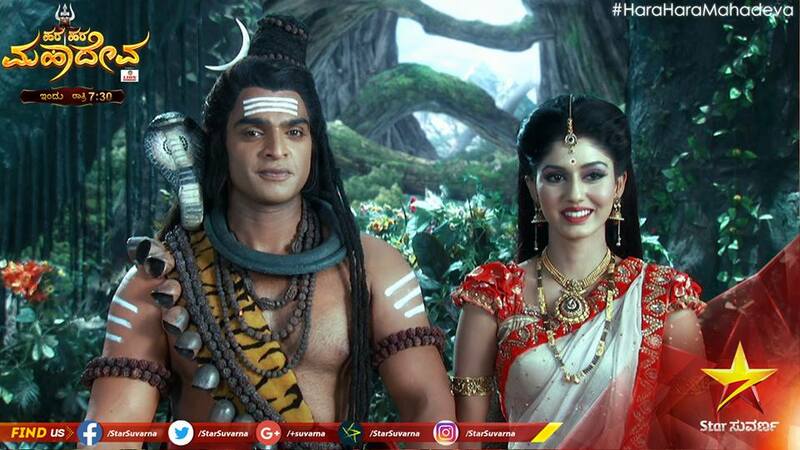 Vinay Gowda as Lord Shiva and Sangeetha as Sathi are in the hara hara mahadeva cast. Priyanka Chincholi as Parvathi, Keerthi Baanu as Daksha Prajapathi other characters of this serial. you can check the complete actors name of hara hara mahadeva kannada tv serial from below table. I am Shashikala from Bangalore working as a principal. Just wanted to say that lord Ganesha also should have vibhuthi. I am enjoying the story very much. Hats off to Shiva paatradhaari. I like shiva and present karthikeya they both r awesome and suits their character perfectly. They both r acting really awesome. Good serial. In the above cast / actor list lot of names are not there. For example, Narada, Subramanya, narada, dadhichi, and lot more. If you put the cast list, put all the actor list. Today 22 Jun I saw episode. One mistake is after killing ruthasura jalandara running towards Karthikeya untill he reach to Karthikeya der is no sword but all of sudden short he has his sword in his hand but try to avoide those small mistake before telecost see three or more times and obserb properly. The show Hara Hara Mahadev is awaome to understand our Hindu culture better.